This week, a high-ranking politician left a phone message for me at my clinic. He asked that I call him. The purpose of his call, according to the note from my receptionist, was “politics”. I did return his call and left a message. He called me back while I was out at a movie. Stepping out of the movie to look at my phone, I found that the purpose of his call was direct and to the point: he asked for money for his political campaign fund. Another politician currently running for office has called me at various times during my work hours. He called once just as I prepared to do a knee injection for a patient and again while I was making rounds at the hospital. During each call, this politician asked for campaign money. Quid pro quo is Latin for “something for something.” In American politics, quid pro quo has evolved to mean an “equal exchange.” My quid pro quo for a political contribution is a personal meeting with the politician, and ideally, their acknowledgement of my interest in health reform, which could be a statement from them that they read this blog. The first politician I mention in this post has met with me many times regarding health reform issues and will receive a contribution. 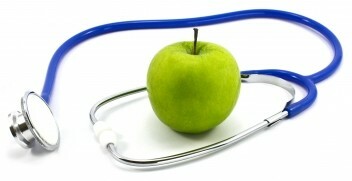 The second politician, hopefully, will meet with me one day so we can discuss health reform issues. In a similar vein as quid pro quo, this summer, Iowa will be inundated with both Democratic and Republican candidates asking for my vote, and yours, in the January caucus. My vote is available. While leaning to vote for a Democrat, I could be moved to attend a Republican caucus and support a candidate who could, to my satisfaction, answer two health reform questions for me. These questions have been raised in this blog before. To me, they continue to be two of the questions central health reform in our time. As the elected Republican president, you proceed to dismantle the Affordable Care Act (ACA). In your replacement for the ACA in the private marketplace for health insurance, how do to eliminate the issue of “pre-existing condition” without implementing an individual mandate? In the spirit of wise use of taxpayer money, how do you justify having for-profit managed care companies that contract with Medicaid generate million dollar profits by taking taxpayers’ dollars as oppose to using those same taxpayers’ dollars to provide more and better healthcare to the poor, sick, and disabled? This summer, I will attempt by personally asking questions, as well as researching and recording Republican candidates’ responses to these questions. Remember my vote is in play and my vote depends upon how concisely these two questions are answered. Who knows? In the end, I might contribute to the second phone-calling, campaign fund seeking politician and might attend a Republican Caucus in January. I will let you know how the questioning and research are going in an upcoming post. By the time I write the next post a month from now, two announcements will have been made. Each event can be tied back to one of the two questions for Republican presidential candidates. Within two days, it is a near certainty that it will be announced that Fred Hoiberg is leaving as coach of the Iowa State Men’s Basketball Team. As a hometown boy, we now know that he did not come home to stay, but merely stopped at home for a visit, albeit a long five-year visit. It now appears that a national basketball team has enticed Fred to leave home. As someone who calls Iowa home—it is where I was born and where I surely will die—I refer to my second question regarding national for-profit managed care companies that next year will serve Iowa Medicaid patients. As I have said many times before, I fear the scenario of a national company extracting a profit from this vulnerable group of poor, sick, and disabled Iowa residents. I would feel much better with a homegrown, Iowa-based entity serving these patients who are also their fellow Iowans and their neighbors. The second announcement will be the Supreme Court decision on the King vs. Burwell case regarding the legality of government subsidies to purchase health insurance on the exchange. If subsidies are ruled illegal for individuals living in states without a state-based insurance exchange, these Republican presidential candidates will no longer be questioned about a hypothetical future without the ACA, but about a reality where millions of Americans will be left without affordable private health insurance. Sadly, with both of these pending announcements, Iowans potentially will experience a huge loss.